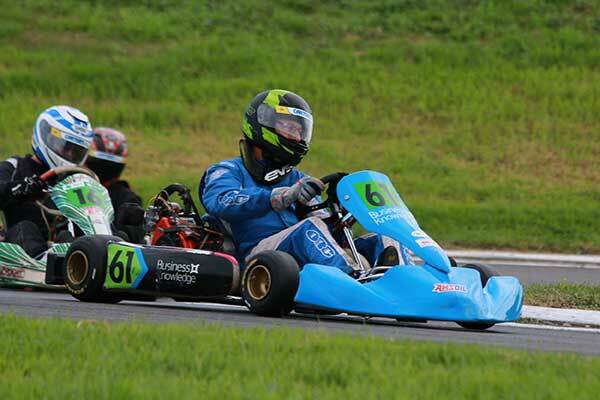 Another fresh batch of class winners has been crowned after an intensely competitive third and final points round of the 2017/18 Manawatu & TRC Toyota WPKA Goldstar KartSport Series at Chemz Raceway near Hastings on Sunday. After earlier rounds in Taranaki and Wellington a single point separated the top two in two of the seven classes and there are just four points separating first and second in the other five heading into the final round. 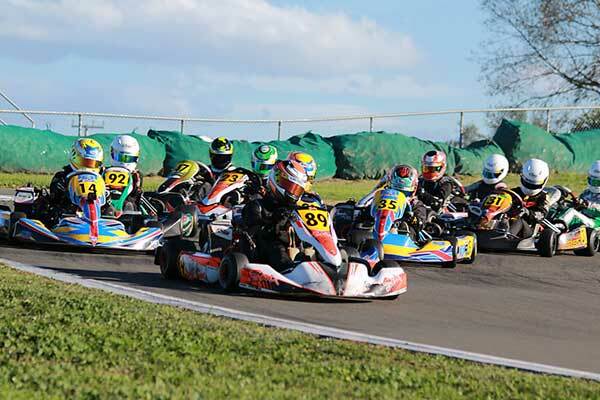 The stand-alone class GP race (and GP series-within-a-series) remains a popular and always hard-fought bonus at each meeting for the 90+ karters from all over the country who every year support the long-running WPKA (Wellington Provincial Karting Association) series. 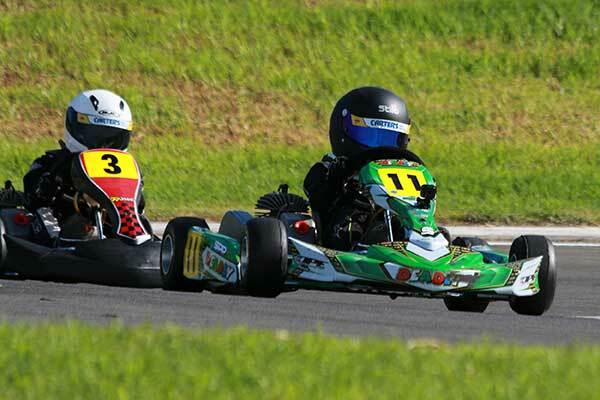 A little bit of NZ karting history was also made at the meeting with Ben Stewart from Wellington and Harry Bewley from the Hawke’s Bay running the new 125cc direct drive Vortex ROK DVS Junior class karts for the first time. 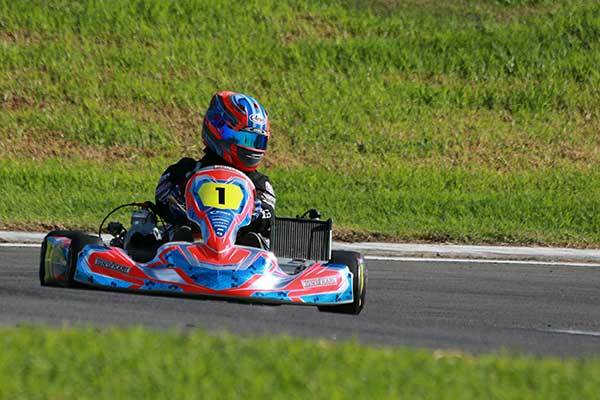 The weekend’s round was the third and final points one of the 2017/18 Manawatu & TRC Toyota WPKA Goldstar KartSport Series. 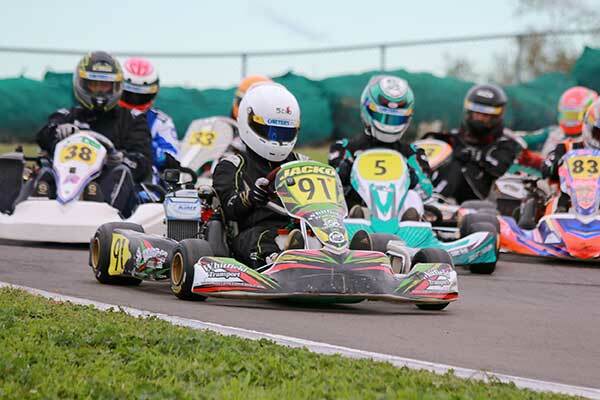 However there is always a single, stand-alone, ‘WPKA Championships’ meeting to wrap up each WPKA season and this year that meeting will be hosted by the KartSport Manawatu club in Palmerston North on Sunday June 03. 1. Blake Dowdall 174 points; 2. Kiahn Burt 172; 3. Judd Christiansen 169; 4. Blake Corin 166; 5. Hugo Neale 165; 6. Kerr Botha 161. 1. Mason Potter; 2. Tom Bewley; 3. Hayden Bakkerus; 4. Logan Manson; 5. Jenson Bate; 6. Ryan Bell. 1. Tom Bewley 178 points; 2. Hayden Bakkerus 173; 3. Mason Potter 167; 4, Logan Manson 160; 5. Jenson Bate 160; 6. Ryan Bell 159. 1. Joshua Parkinson; 2. William Exton; 3. Fynn Osborne; 4. Riley Spargo; 5. Bradley Hewson; 6. Liam Sceats. 1. William Exton 176 points; 2. Fynn Osborne 174; 3. Liam Sceats 160; 4. Riley Jack 157; 5. Zac Christiansen 156; 6. Bradley Hewson 155. 1. Zach Zaloum 173 points; 2. James Higgins 169; 3. Campbell Jamieson 168; 4. Ashley Higgins 156; 5. Melanie Oughton 150; 6. Simon Wilcox 144..
1. Derek Lawrence 174 points; 2. William Pearson 174; 3. Nathan Nolly 165, 4. Brent Hickmott 165; 5. Stuart Frew 165; 6. Brendan Print 164. 1. Brent Melhop; 2. Shaun Croskery; 3. Hadleigh Coffey; 4. Shaun Hibbs; 5. Shane Sayer; 6. Nathan Clive. 1. Brent Melhop 177 points; 2. Hadleigh Coffey 173; 3.Shaun Croskery 171; 4. Shane Sayer 166; 5. Glen Dodd 161; 6. Shaun Hibbs 113. 1. Jacob Cranston 180 points; 2. Clint Beaumont 173; 3. Jason Gunn 106; 4. Jamie Gaskin 58; 5. Brendon Jury 57; 6. Rianna O’Meara-Hunt 56. 1. Judd Christiansen; 2. Jay Urwin; 3. Hugo Neale; 4. Blake Dowdall; 5. Arthur Broughan; 6. Izaak Fletcher. 1. Judd Christiansen 143 points; 2. Hugo Neale 137; 3. Blake Dowdall 137; 4. Kiahn Burt 136; 5. Kerr Botha 130; 6. Mitchell Corin 120. 2. Tom Bewley 144 points; 2. Hayden Bakkerus 139; 3. Mason Potter 138; 4. Ryan Bell 135; 5. Jenson Bate 132; 6. Logan Manson. 1.Fynn Osborne 141 points; 2. William Exton 140; 3. Bradley Hewson 127; 4. Leo Scott 127; 5. Riley Jack 127; 6. Liam Sceats 121. 1. Jacob Cranston 150 points; 2. Clint Beaumont 96; 3. Jackson Whitfield 93; 4. James Aston 88; 5. Jason Gunn 83; 6. Nathan Dahm75. 1.William Pearson 145 points (1st ClubSport 120); 2. Stuart Frew 135; 3. Nathan Nolly 133; 4. Hadleigh Coffey (1st ClubSport LO206) 119; 5. Shane Sayer 118; 6. Derek Lawrence 100.